Singapore will soon enforce laws on cryptocurrencies – similar to that of fiat currencies – as it toughens its stance on bitcoins and other virtual currencies, now banned in neighbouring Thailand, Vietnam and India. The enforcement, however, will not be as tough compared to China, where cryptocurrency exchanges were shut and access to service websites restrained. Known by many as an ideal destination for companies fleeing regulatory pressures in their own countries, the city state’s carefree cryptocurrency investment and trading have been a big comfort for crypto enthusiasts. “We are assessing if additional regulations are required in the area of investor protection,” said Ong Chong Tee, deputy managing director of the Monetary Authority of Singapore (MAS), the central bank and apex financial regulator. Cryptocurrency is a digital currency made popular through blockchain technology. The big plus is that unlike real world fiat currencies, transactions involving cryptocurrencies cannot be forged or counterfeited thanks to cryptographic protections in the underlying blockchain technology. Unlike fiat currencies, there is no central or government authority to control its supply. Its decentralised nature also makes it impervious to government interference or manipulation of supply and demand. But the biggest pitfall of cryptocurrency is the excessive secrecy and pseudo-anonymous nature of transactions, which can result in unlawful activities, such as money laundering and tax evasion. Bitcoin was the first cryptocurrency launched in 2009. Its circulation rose to over 14.6 million and a pumped-up market value of $3.4 billion in 2015. This phenomenal success had led to the launch of other cryptocurrencies such as Namecoin, PPCoin and Litecoin. Singapore is contemplating new measures to regulate cryptocurrencies to protect investors from a market crash in addition to preemptions of money laundering and tax evasions. The alarming growth of cryptocurrencies saw the crypto economy inflate from a modest $17 billion in January 2017 to $600 billion by the end of the year. 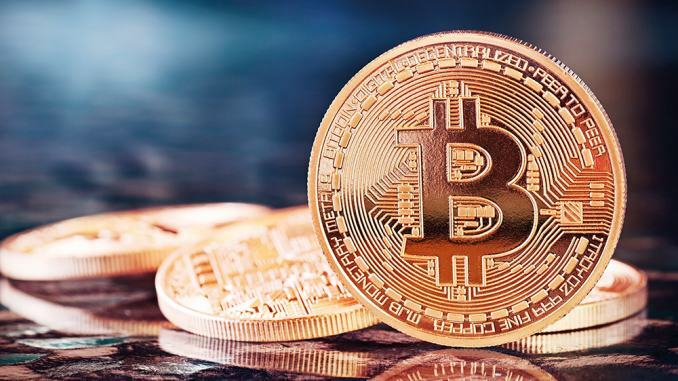 This prompted MAS to issue an advisory that same year, urging the public not to be lured by cryptocurrencies and their ballooning value. In January 2018, the crypto bubble burst. The valuations of bitcoin tumbled, bleeding thousands of investors. That same month, Singapore’s Deputy Prime Minister and MAS Chairman, Tharman Shanmugaratnam, announced that Singapore will enforce the Anti-Money Laundering (AML) and Countering the Financing of Terrorism (CFT) laws to cryptocurrencies in the same way they did to the fiat currency. These regulations aim to detect, deter and prevent illicit fund flows associated with predicate offences and terrorism financing. “When it comes to money laundering or terrorist financing, Singapore’s laws do not make any distinction between transactions effected using fiat currency, virtual currency or other ways of transmitting value,” Tharman stressed. MAS will also be enforcing ALM and CFT on intermediaries (such as cryptocurrency exchanges and brokers) who swap fiat currencies for virtual currencies. Analysts here have also expected the upcoming Payment Services Bill, a new regulatory framework for payments and licensing, to add more punch to MAS in handling errant intermediaries. Meanwhile, the Commercial Affairs Department, which investigates commercial frauds and abuses, will be probing cases related to the compliance of ALM and CFT. Despite the new roll-outs, DPM Tharman said the anonymity of cryptocurrency users and the lack of a centralised clearing system remain a challenge in ensuring the transparency of cryptocurrency ecosystem. Having said that, MAS is not contemplating any ban on cryptocurrencies as Singapore is upbeat on leveraging the blockchain technology in cryptocurrencies to bolster its position as a Smart Financial Centre and Fintech Hub. Besides, the trial of Singapore’s very own cryptocurrency, Project Ubin, is making good progress as it pushes the innovation boundary across the financial services industry. MAS is already looking at delivering securities, cross border payments and using a digital version of the Singapore dollar to carry out real transactions and buy assets. Major banks, including Bank of America Merrill Lynch, Citi and Credit Suisse, are also involved in Project Ubin and other Fintech products. Would cryptocurrency survive in Singapore? Definitely. And it may well be the most popular mode of payment, after all.